All information found on this website and page is provided as a resource only. The OCBA does not endorse or vouch for the quality of any of the products or services listed here and cannot be held liable or responsible for transactions with the named companies or organizations. 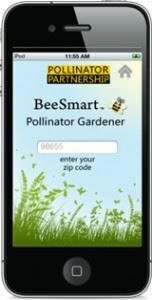 Pollinator App: Check out this awesome new app that thePollinator Partnership made. It can tell you exactly what to plant to attract specific pollinators, in each region, season, color, type of plant and more! Project Apis m. has become a cornerstone in funding and organizing research efforts for the beekeeping industry. They have infused over $1 million into research to date. Check out their website to see all they have to offer, or see their YouTube video to learn more about them. California State Beekeepers Association connects beekeepers around the state and nation, funds vital research projects, and supports the economic and political viability of the beekeeping industry. They have a wonderful annual convention. We are a proud affiliate club of the CSBA. NAPPC is the most important project managed by the Pollinator Partnership. It works in coordination with existing local, national, and international pollinator protection plans that focus on individual species, genera, families, or classes of animals.